But don’t stick a fork in it yet. 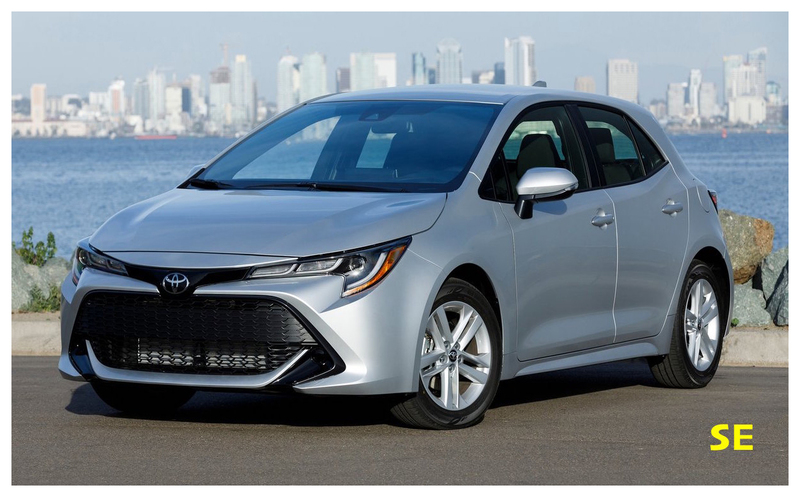 Toyota last week unveiled its 2019 Toyota Corolla Hatchback much to the delight of those who still prefer driving a car over an overpriced, oversized vehicle whose biggest cheerleaders are the automotive companies’ stockholders. 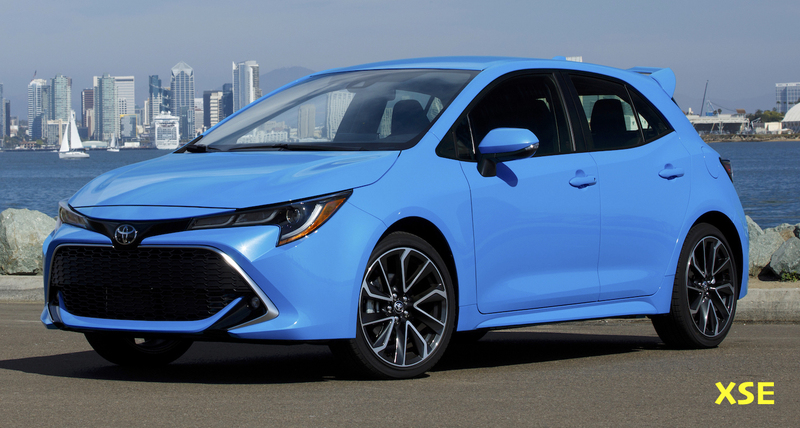 The Corolla Hatchback, in another, not so long ago era, would have been badged a Scion — a brand that when it was introduced was hoped to bring more younger buyers into Toyota’s showrooms (some say that demographic-wise the Corolla sedan is the new Buick Century, lol); instead they got people like me, who are younger only when compared to most tenured members of Congress. 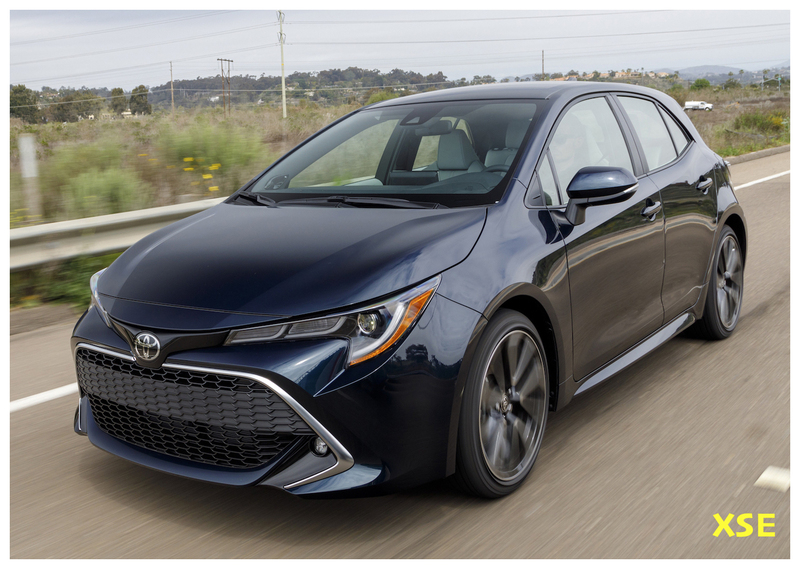 At the rear, again quoting Toyota, we have “…an overarching emphasis on athletic presence.” I think the front and rear styling works well together, giving the viewer a pleasing shape which should decry its position in Toyota’s lineup as a small, affordable family car. 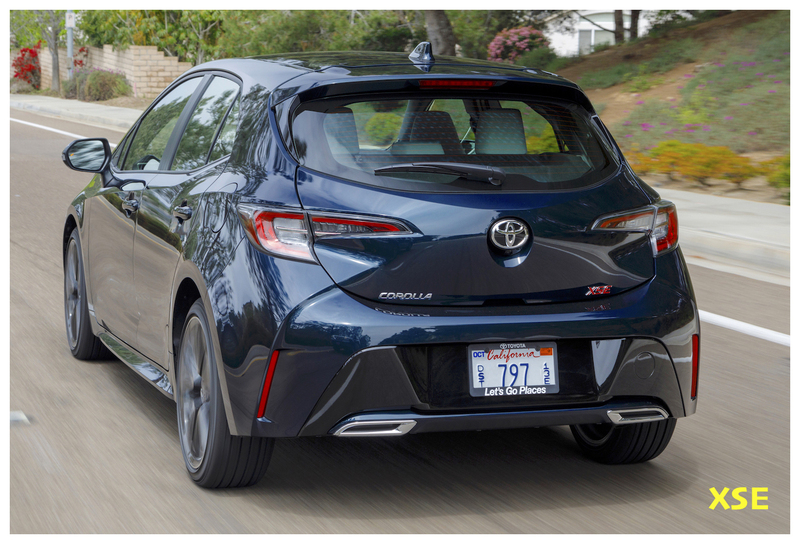 Available in SE and XSE models, the Hatch could look just as at home at a gathering of small-car motorheads as it would picking up the offspring from soccer practice. All Hatches will be powered by a 2.0L in-line four which produces 168 hp. 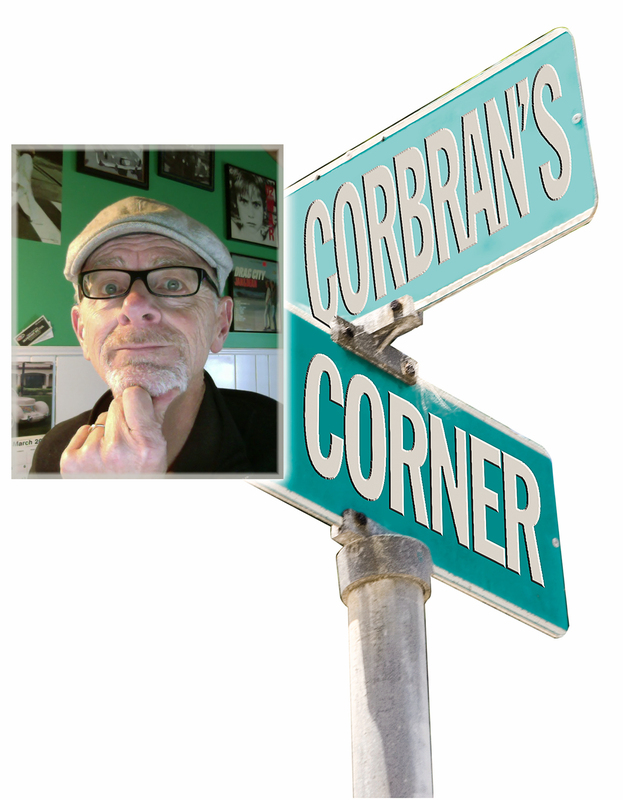 In somewhat of a reversal of the norm, a continuously-variable transmission (an automatic generally known as a CVT) is standard, while a six-speed manual will be optional. 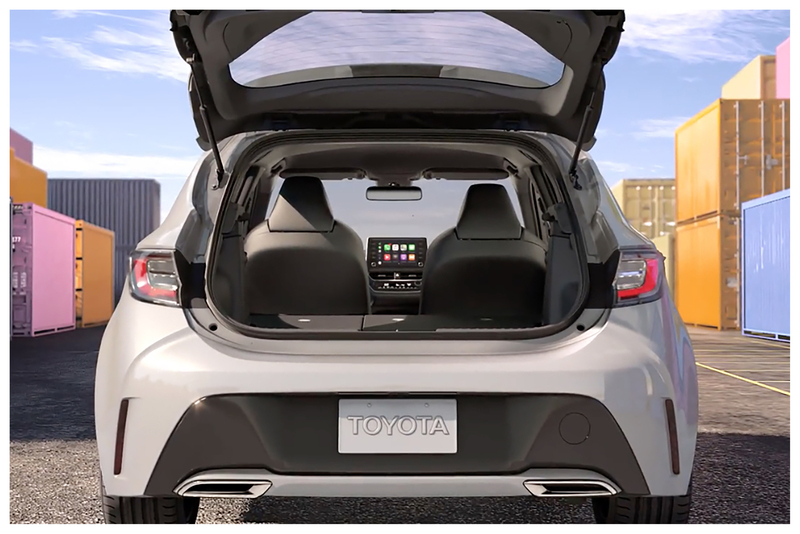 Toyota tells us the CVT has simulated 10-speed shift steps, including a launch gear — the world’s first in a passenger car. A launch gear, for those who’ve never heard of one (my hand is raised!) uses gear drive when starting from a full stop, before switching over to the belt-driven systems used in conventional CVTs. 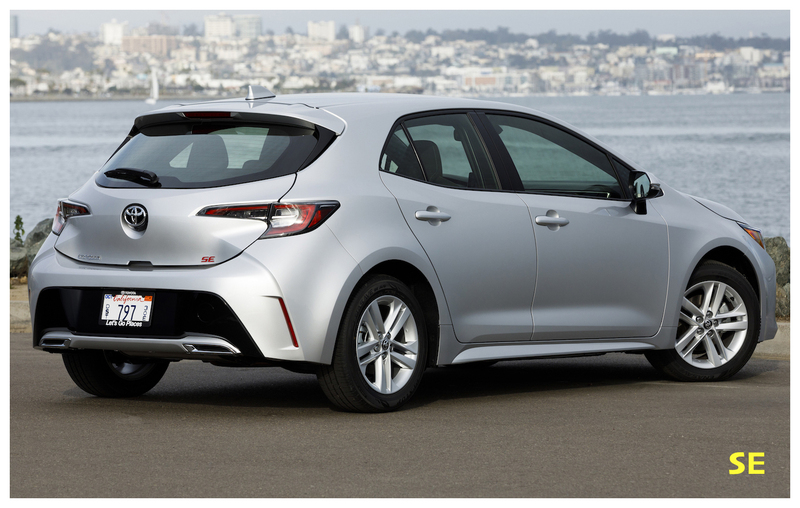 It’s said that a launch gear is more efficient and less of a drag on the transmission itself. Inside, Hatch owners will find front sport seats, an eight-inch multi-media touchscreen, and myriad nook and crannies for storage. All Hatches come with a/c, leather shift knob, paddle shifters for the CVT-equipped, electronic parking brake, and two front USB outlets. 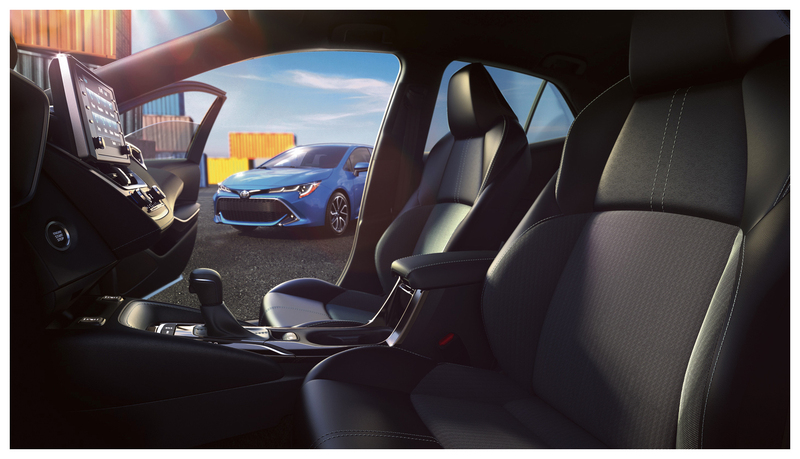 The XSE upgrades to dual-zone climate control, something Toyota calls “combination leather — leather with mélange-like fabric,” heated front seats, and an eight-way power driver’s seat. The SE’s audio system is upgraded on the XSE to a premium JBL unit complete with woofers, tweeters, and other audiophile bits. No on-sale date or pricing has been announced; look for updates on the link below.